When a colossal storm threatens the Ares III manned mission to Mars, the team evacuates. 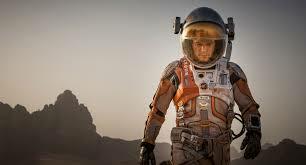 They believe that they are leaving behind the body of their colleague, botanist Mark Watney. However, Watney is alive. He must use his knowledge, bravery, and resilience to stay alive on a barren planet. He knows that another mission is set to arrive four years from now; can he last until then? 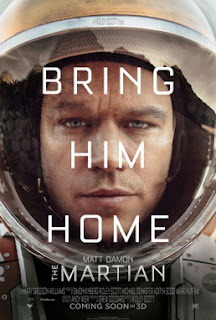 Mark Watney is left behind by his colleagues. The fear of being left behind might be particularly real to foster kids, or to children who have been (or who have been referred to) as abandoned. However, also like many kids in foster care, Mark is resourceful and resilient. He explains that, when faced with dire odds, you can choose to give up and die, or keep fighting in the hope that one day you will be able to go home. It’s a stretch to connect this to adoption, but I’m struck at how powerful it is to Mark to receive communication from faraway friends. It reminds me of the value of communication with birth family members for those who have been adopted. Before he hears from people, he seems to use video-journaling to manage his emotions and keep his thoughts in order. I am struck by how determined, humorous, hopeful and resilient Mark is on his own, and at the same time, how much support he draws once he is able to develop an emotional connection with others. We can be strong on our own; it’s easier to be strong with the support of others. Both are true. Mark’s colleagues, the NASA team back on Earth, and foreign space administrations all work together for a worthy purpose. We see that people who disagree can put their differences aside to try to do good. Mark rightly expects that his colleagues will be brokenhearted to know that they’ve left him behind. He firmly asserts that it’s not their fault, and they try devotedly to right the situation once they’re made aware. There is a wince-inducing scene of life-saving self-surgery that might be a little intense for some viewers. Mark realistically acknowledges that he will run out of food. Although he works towards solving this problem, I wondered if some kids who’ve experienced unstable access to food might find this to be emotionally triggering. Some kids who are in foster care have come from environments where their need for food was not dependably met. The line was said in passing, so some kids won’t catch it, but some may. The grief one character shows at losing another might be particularly painful for parents who have lost children to adoption voluntarily or involuntarily. Mark asserts near the end of the film that you get to return home if you solve the problems in front of you. This might be hard for those viewers who have been adopted and wish to return to their birth families. In general, though, it’s a strong encouragement to never give up in the face of great difficulties. I liked this one. 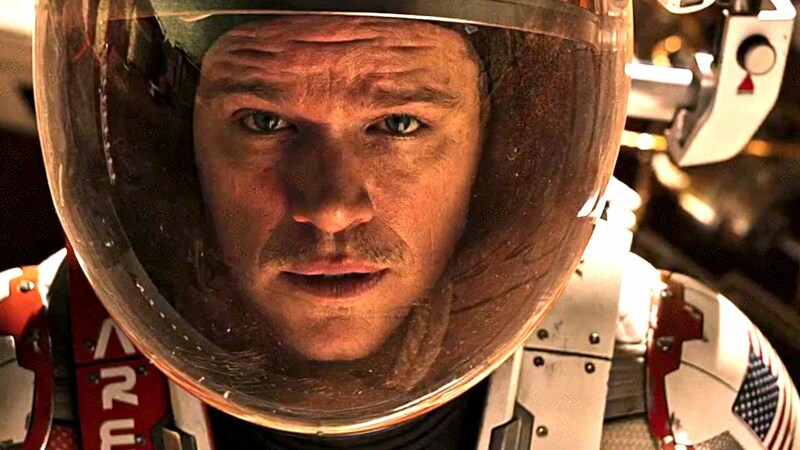 The Martian is well made, engaging, and powerful. 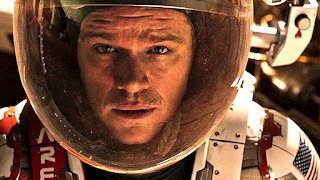 Gravity was a good space movie, this one is, I think, better. 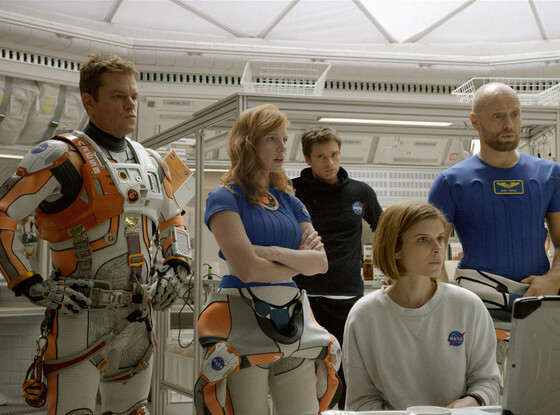 The Martian will probably most appeal to some adults, but some teens might also enjoy it. It is a strong portrayal of the heroic ability to survive that is innately human. For some teens and young adults who’ve been in abusive, neglected, lonely, or dangerous situations it might uncomfortably remind them of where they’ve been, but it could also be a reminder to celebrate how strong they have been in order to get to where they are. Recommended for adults and for teens 14 and up, with their parents. Are you ever scared of being left behind? What about Mark helped him to survive? Which of those traits do you have?